CONTINUES TO EXPAND THEIR EQUINE OPERATIONS. February 1, 2011 - Chino Hills, California - David and Alisa Wilson of W Farms announce today that they have expanded their equine operations into the field of equine insurance. Wilson and Cunningham West Insurance Agency will be opening February 1, 2011. WCW is an affiliate of Cunningham and Cunningham Livestock Insurance. The partnership between these two companies was strategically developed to combine the talent and resources of two prominent and successful companies to provide nationwide Insurance services. 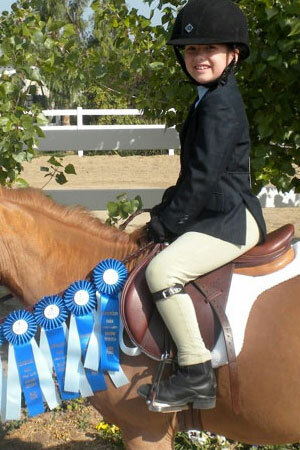 Wilson and Cunningham West (www.WCWinsurance.com), headquartered in Chino Hills, CA will be led by Alisa Wilson a long time equestrian. Having been in the commercial insurance business for the past 6 years, Alisa felt it was a natural fit to combine her professional career with her personal passion. Prior to opening WCW Alisa was the Vice-President of Forte Consulting Inc. in Las Vegas, a risk management company specializing in Construction Risk Management. Cunningham and Cunningham Livestock Insurance (www.cunninghamlivestock.com), headquartered in Monroe, NY, is an equine insurance industry leader. One of the largest and most reputable insurers of dressage horses with over 30 years in the industry. Cunningham and Cunningham is widely recognized for its exceptional customer service and claims management. "We are excited to have the opportunity to be aligned with such a strong and well-respected organization as Cunningham and Cunningham. This collaboration gives our company the ability to service a growing market with a variety of expertise." states David Wilson, WCW's CEO. W Farms, owned by David and Alisa Wilson is one of the nations premier Dressage Training, Sales and Management facilities.